When we came home from our most recent trip to Ohio on June 6, Seth immediately ran up the stairs and into his room. He squealed, "my bed!," and climbed up and buried his grinning face in the matress. He proceeded to take a four-hour nap. Four. Hour. It might have been longer if I'd let him sleep, but it was after 6 pm, and I figured he needed to eat. I couldn't believe he'd slept so soundly, so solidly, for an afternoon nap. Poor little guy, I thought. 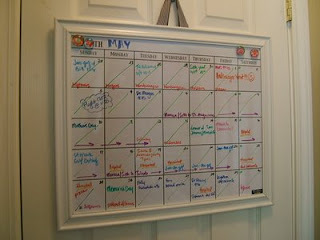 Then, the next day, I went to remove our May calendar off the dry erase board in our kitchen, and on a whim, I counted up the number of days we were home and in our own beds during the month of May. ...we were home for only 10. Between Florida, Ohio, back to Tennessee, back to Ohio, hospitals, grandparents, etc... No wonder he was happy to see his own bed. Now that we've been home for a solid two weeks, I have to say, Dorothy had it pretty figured out: there is no place like home. And then we come & crash the party. LOL Glad you're home for awhile, Mon! Duncan's picture is beautiful. Thanks for sharing with us. Here's hoping for a calm, peaceful end of June and July. And August, September, October.....you get the picture. You deserve a nice long stretch of non-madness for a change. WOW. Our June is kinda like that. I'm glad he got a great nap. I wish I could have a 4 hour nap!! Good for Sethy!